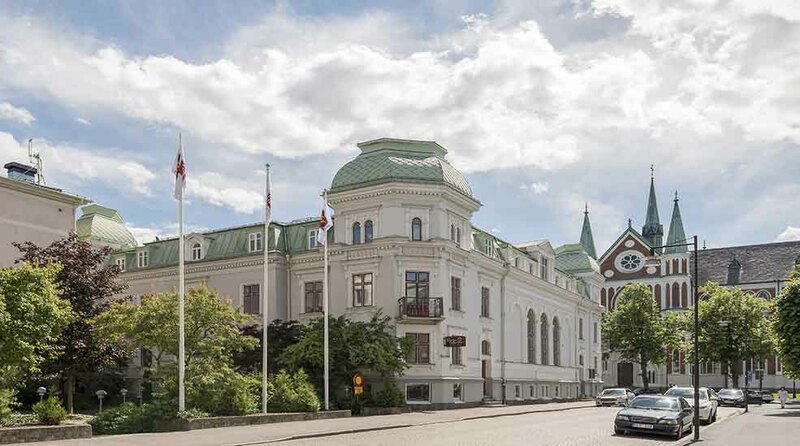 At the Clarion Collection Hotel Victoria you'll stay in a beautiful, classic and timeless setting, in the centre of Jönköping. A sense of the city's history and culture runs throughout the building. Stay centrally and comfortably, and enjoy a complimentary Evening Meal every day. We will renovate the pipes at the hotel between 7am and 5pm on weekdays. We apologize for any disturbing noise during this period. The Clarion Collection Hotel Victoria is located in the beautiful Väster district in central Jönköping. A wide selection of restaurants and shopping are just around the corner from us. Plus Jönköping's attractions, including the Match Museum and John Bauer Museum, are a short distance away. Our rooms have a classic design, and are decorated with images from Jönköping's history of making matchsticks. We offer everything from standard rooms to spacious suites and family rooms. In 2017 we have renovated one third of the hotel's rooms and under each room category you can see pictures of both newly renovated and older rooms. Get your pulse racing or take it easy in our relaxation area. Located over two floors you have access to a treadmill, spinning bike, rowing machine, yoga mats, free weights among others. There is also a common sauna and a seating area where you can unwind. Book your conference with us! We have three conference rooms with capacity for 8 – 60 people, and with a full conference service. The Clarion Collection Hotel Victoria has a long and exciting history. There are ornaments and paintings throughout the traditional building which tell the story of Jönköping as the birthplace of the matchstick. The house was built in 1882 on the initiative of Ebba Ramsay, an author and pioneer within healthcare, who ran a home for epileptics and mentally disabled children. In order to overcome the then-widespread alcoholism problem she also opened an alcohol-free inn in the basement. To this day it is claimed that Ebba's ghost haunts room 426 in the hotel attic. The Clarion Collection Hotel Victoria is cash-free, which ensures added security for our guests and visitors. More information about this can be found under FAQs. on +46 36 34 40 00.